Find here the list of Top Film Festivals in India that accepting short Film Submission. So, you produced a short film, now what next? Submitting that to any best short film festival- that you can do! Here, ours this list comprises India’s best short film festivals submission details, deadline, submission fees and the festival info. Mumbai Festival is acclaimed as country’s largest film festival since its inception. The film festival was organized by late Hrishikesh Mukherjee on behalf of the Mumbai Academy of Moving Image. Every year, the festival held from October 18 to 25, 2012 at Mumbai, India. Founded in 1990, the festival was organized by the Film Division of India. The festival stands as a best showcasing platform to promote the independent film movement. According to their officials, every year they have been receiving film entries from 40-50 countries in the categories of short film, feature film and documentary film. Dharamshala International Film Festival (DIFF) is one of the recently launched Film Festival, but charted among one of the best film festivals in India. The festival was founded by filmmaker couples Ritu Sarin and Tenzing Sonam on November 2012. Unlike the usual metro oriented Indian film festival, DIFF conducts its festival secessions in a tranquil place at the kangara of Himachal Pradesh. Every year, the festival held in the month of November. First Announcement: First week Of September. Very proudly, we can say that IDSFFK is one among the best short film festival in India. The programme was organized by Government of Kerala: It gives the filmmakers a chance for premiering short films, Documentaries, Music Albums and Campus Films In front of die hard film fans. The selection procedure to this film festival is bit rigorous, the panel members include Indian as well as international Film personas, and they select films purely on the basis of content quality. The Bangalore international short film festival is acclaimed as a leading short film festival in S. India. The festival was organized by the Suchitra film Society in 2011. Along with the film festival, also they conducts filmmaking workshop and organizes open panel discussions with the Invited filmmakers. Founded on 2009 by Honu Roj, It stood as a best platform for showcasing the film to the global community. Since its beginning to now, without taking any off, the festival held annually from 2-6 January at Jaipur, India. Signs Film festival, held on every year on the month end of Mar at Kochi, India: FFSI (Federation of Film Societies of India) Keralam, is the programme founder of signs Film Festival. One of the prestigious Kerala based short film festival that you can completely trust for submitting your short film. The festival website says that it is a real time platform for the alternative film movement. The 6 day long (16th -21 Feb) film festival will be held in Thrissur, Kerala will showcase feature films, short films and documentaries. The Gujarat International Film festival was sponsored by Academy of Cultural Activities & Arts Institute, a non-profit organization based in Gujarat purposed to give opportunities to suffering talents In the areas of Filmmaking, art , Literature and Music. The festival held on every year July at Surat, Gujarat. Submissions can only made through offline, visit their website for more details. 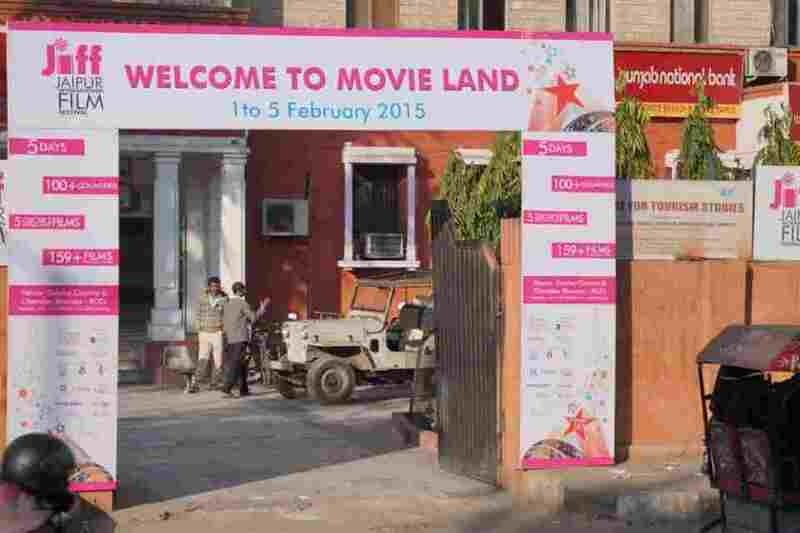 This is the official film Festival of India, organized by the Ministry Of broadcasting, Govt Of India. Annually, the festival held on November at Goa, India. IFFI accepts the films in the Short, Documentary and feature film genres. So, that is the end of this section. Don’t forget to add your feedback in the comment section on below. Next articleWhat happened when I called a photographer at my wedding venue?